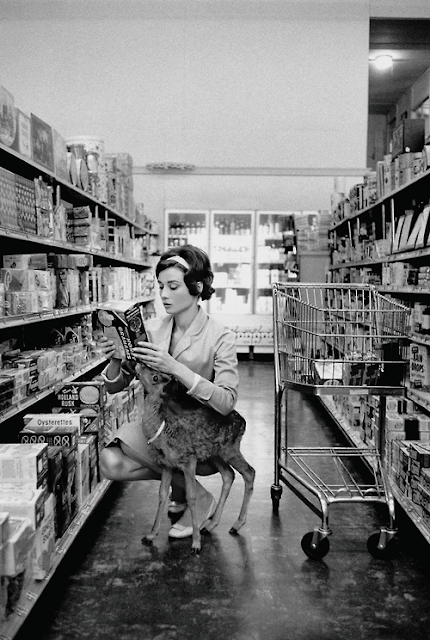 Actress Audrey Hepburn shopping with her pet deer “Ip” in Beverly Hills, CA, 1958. 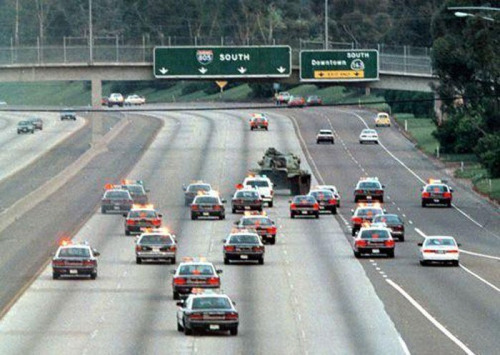 U.S. Army veteran Shawn Timothy Nelson drives a M60A3 Patton tank on a slow paced police chase through San Diego, California May 17, 1995. 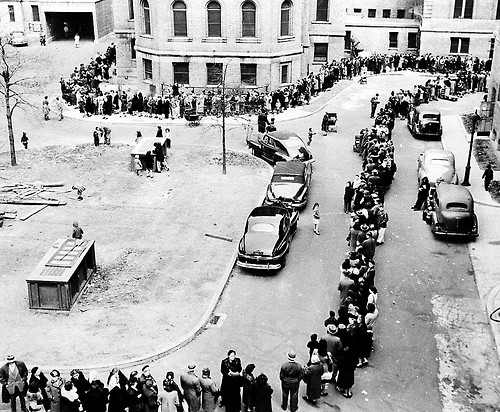 In April 1947, people stand in a twisting line waiting to be inoculated against smallpox at the Morrisania Hospital in New York. 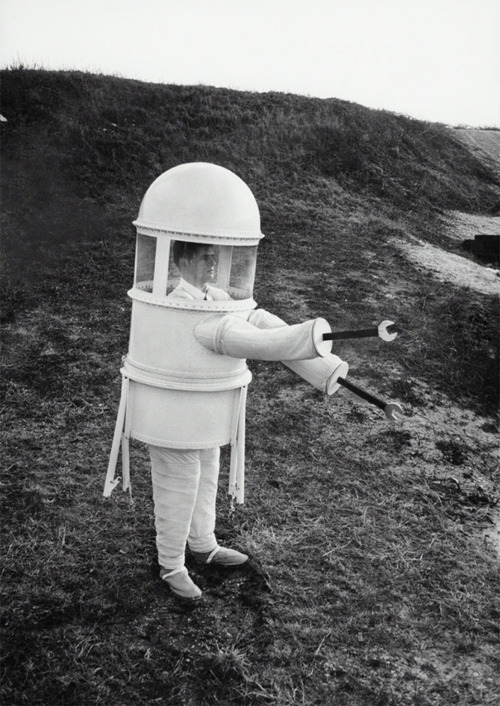 American pressure suit, designed by Republic Aviation, for extended operations on the moon’s surface. 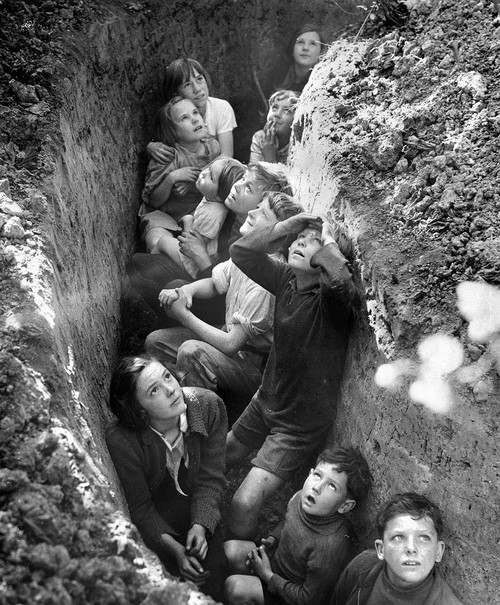 Bunkered British children cautiously watching aerial dogfight overhead, 1940. 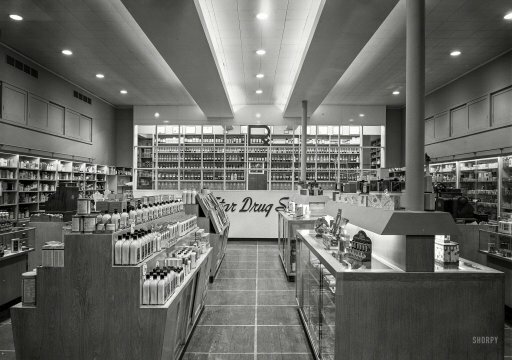 "Star Drug, businesson Kingsbridge Road, Bronx, New York. Interior to rear. 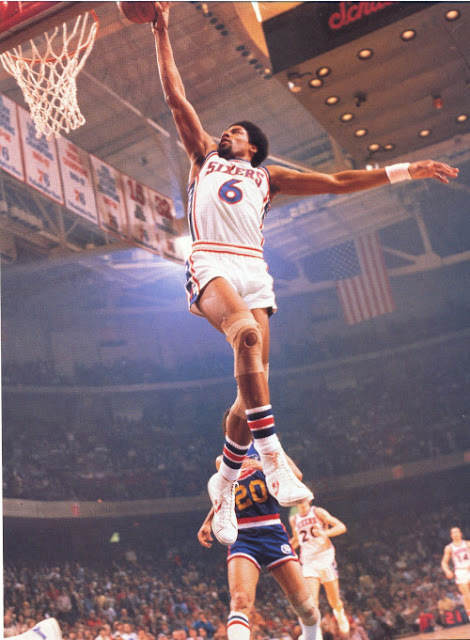 Jose A. Fernandez, client." Jergens Lotion, just 79 cents a (glass) bottle. 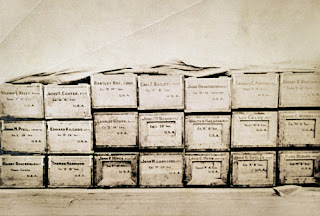 Large-format acetate negative by Gottscho-Schleisner. Jan. 16, 1946. 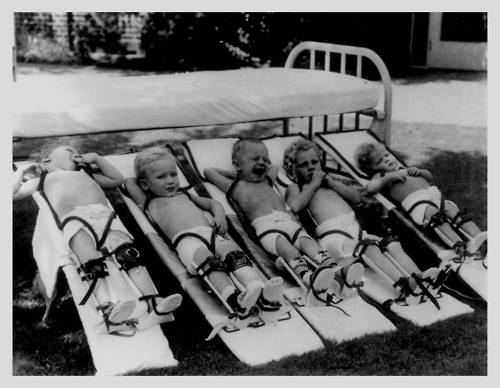 Polio patients on boards at the Texas Scottish Rite Hospital for Children in Dallas, Texas - Circa 1950. 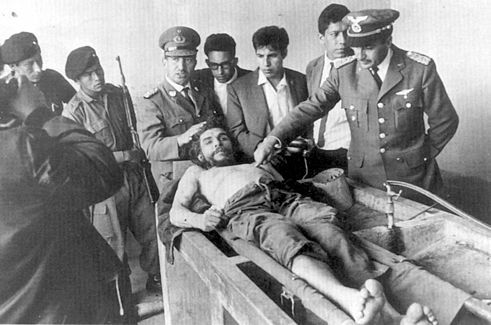 The day after his execution, revolutionary Che Guevara’s corpse is put on display in Bolivia for the world press on October 10, 1967. 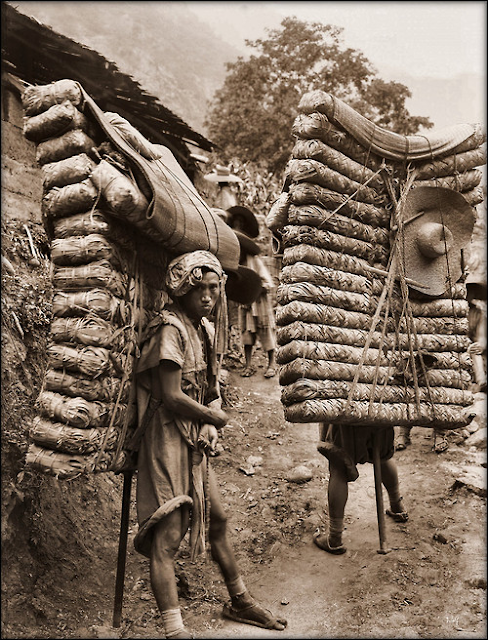 Men Carrying Tea Bricks on the Ancient Tea Horse Road in Sichuan China, Photo by Ernest Henry Wilson - 1908. 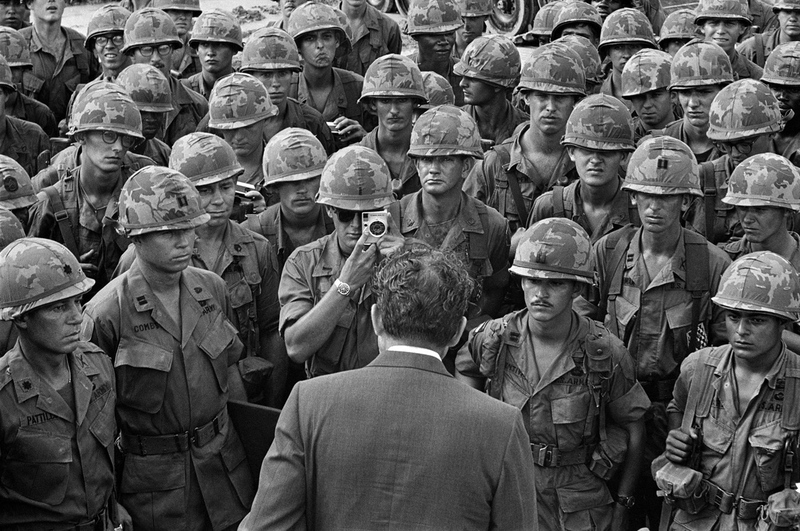 GI takes a picture of Nixon during his first visit to Vietnam as President, July 30, 1969. 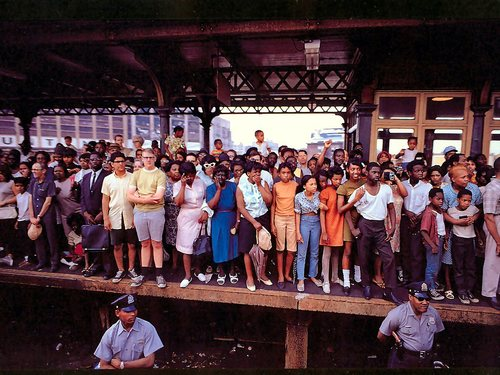 Crowd watching RFK’s funeral train pass by from a station platform as it transports his casket from New York to Washington, June 8 1968. 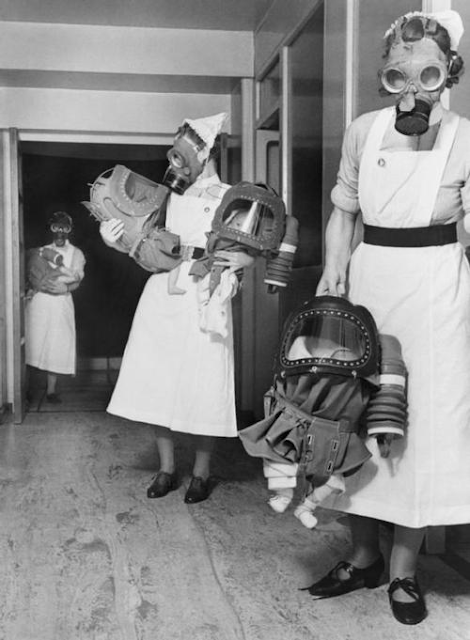 August 1939. 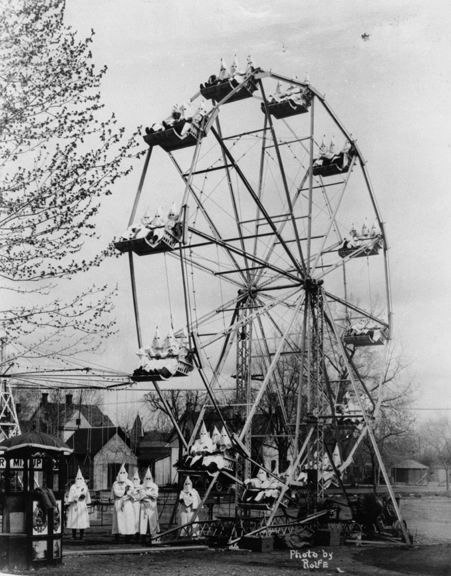 "Marion County, Oregon, near West Stayton. 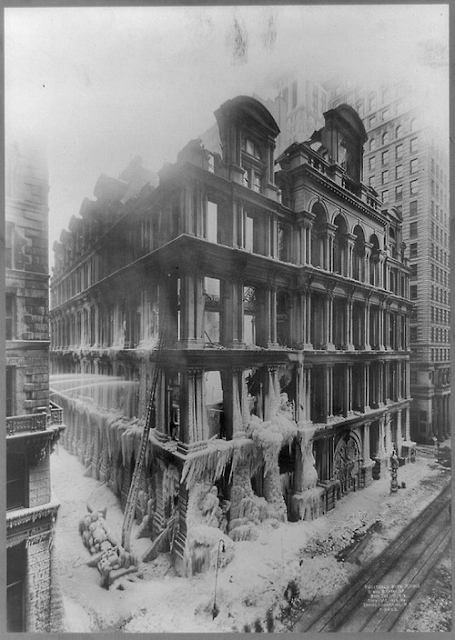 Father and children came from Albany, Oregon, for a season's work in the beans." 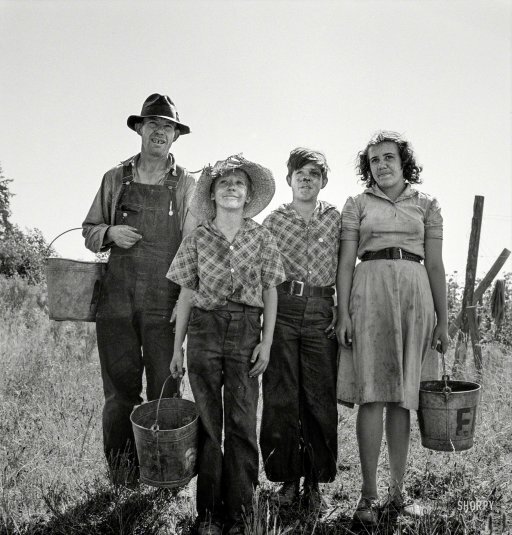 Photo by Dorothea Lange for the Resettlement Administration. 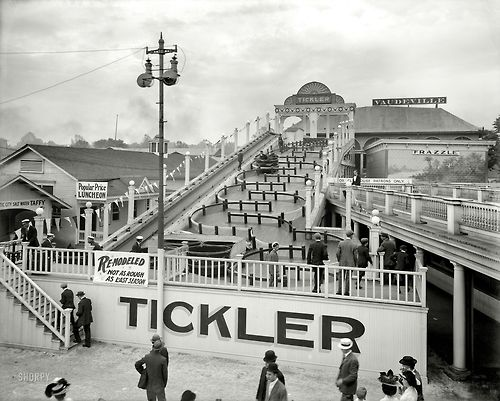 Cincinnati, Ohio / carnival ride "The Tickler" in Chester Park 1909. 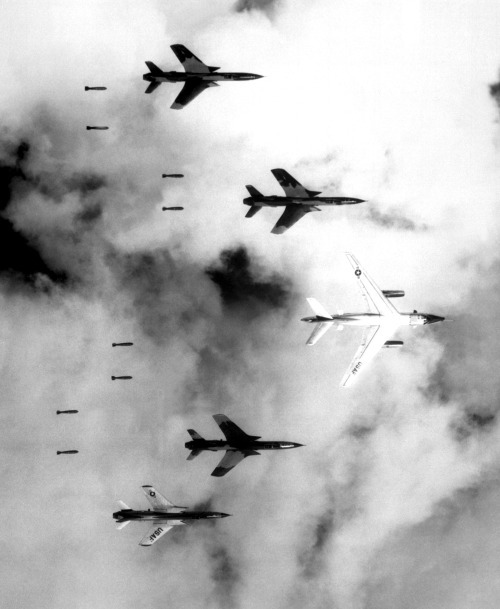 Flying under radar control with a B-66 Destroyer, Air Force F-105 Thunderchief pilots bomb a military target through low clouds over the southern panhandle of North Viet Nam. 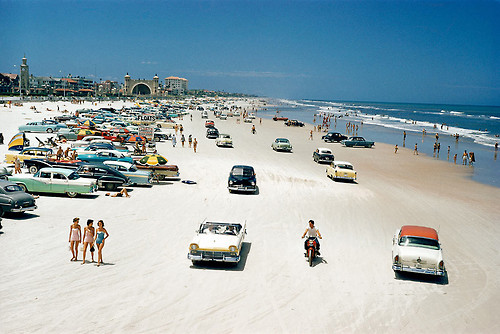 June 14, 1966. 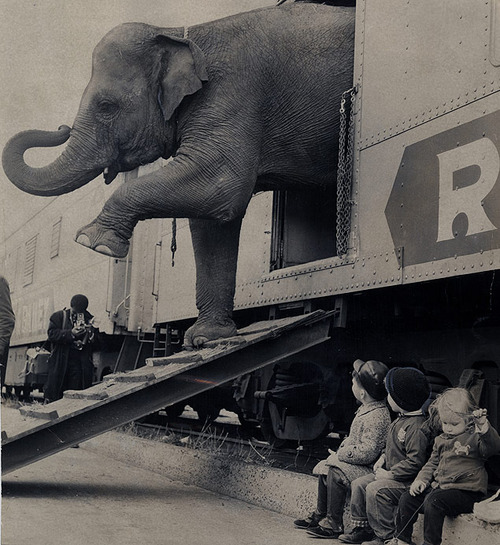 Targa the elephant disembarks from the Ringling Bros. Barnum and Bailey train in the Bronx April 1, 1963. 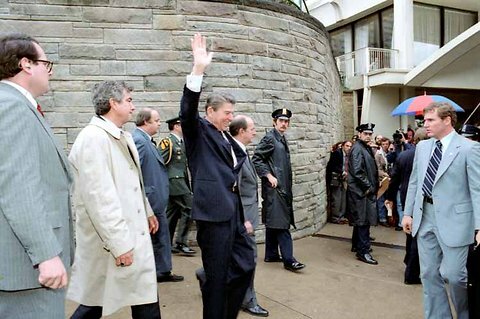 President Reagan waves to media and crowd just seconds before he is shot by John Hinkley Jr. March 30th, 1981. 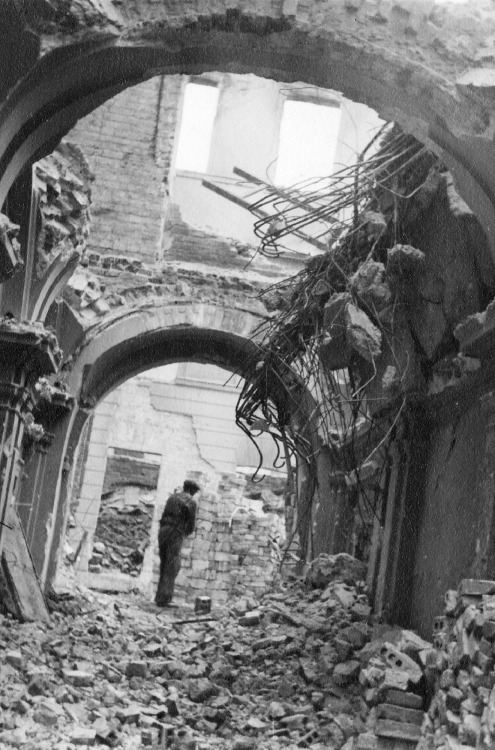 A man attempts to rebuild a destroyed wall within Warsaw during World War II. 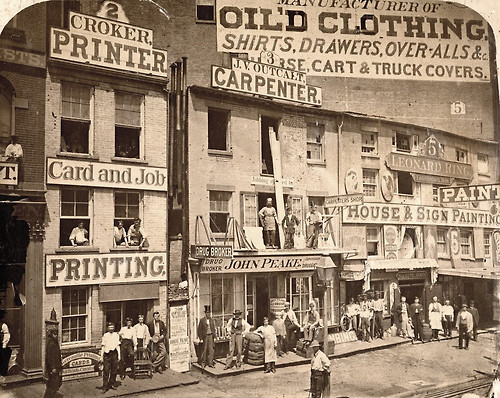 People pose in windows and in front of shops on a sign covered street in New York City, Circa 1865. 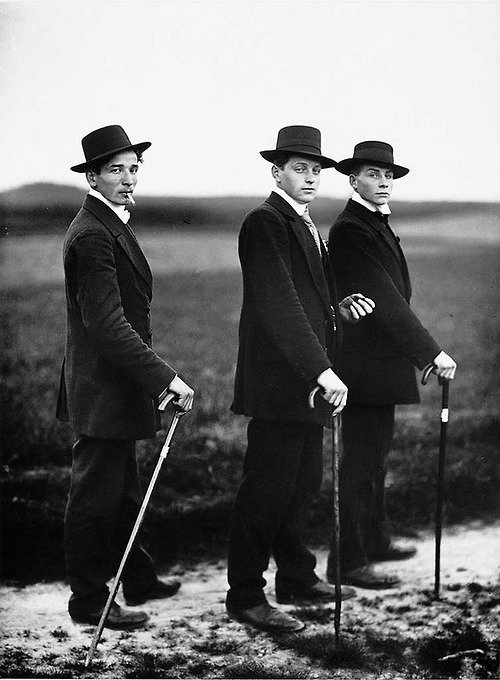 Young farmers in Westerwald, Germany, 1914. 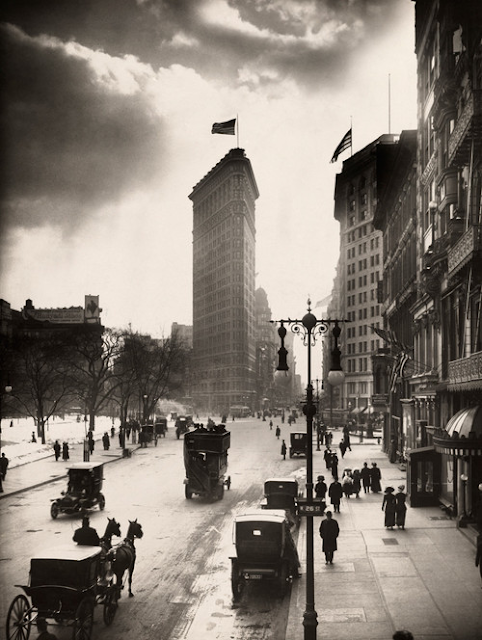 Photo by August Sander. 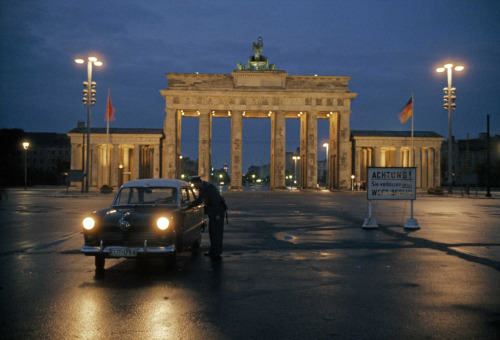 All quiet at the Brandenburg Gate, West Berlin, Germany, Photo by Thomas Nebbia - 1961. 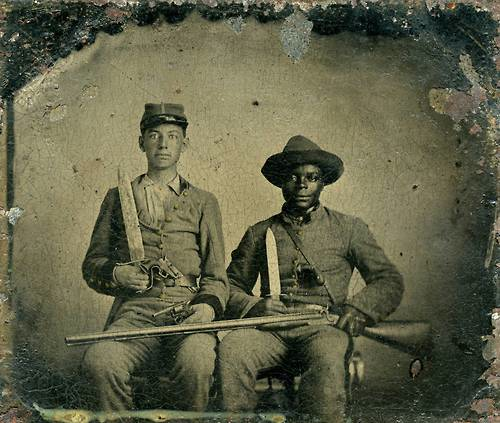 Confederate soldier Andrew Chandler poses with his slave, Silas Chandler, who worked as his servant during the Civil War, Circa 1861. The ice covered burnt out shell of the Equitable Life Assurance Building of New York City following a fire in subzero temperatures. Washington, D.C., 1919. 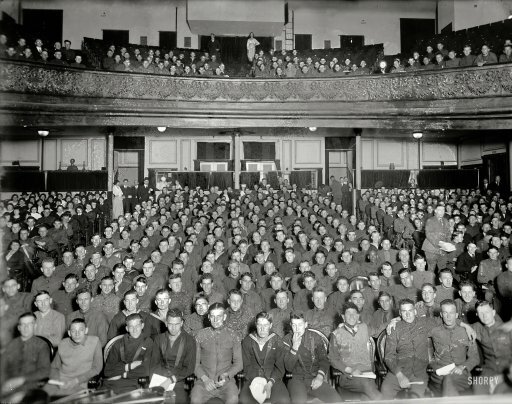 "Walter Reed boys at Shubert Garrick Theatre." 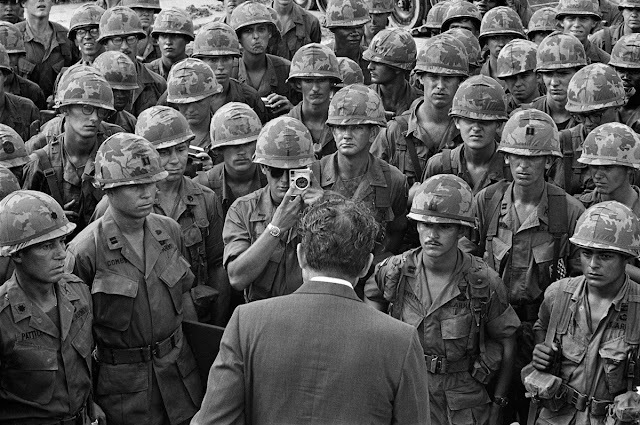 National Photo Company Collection. 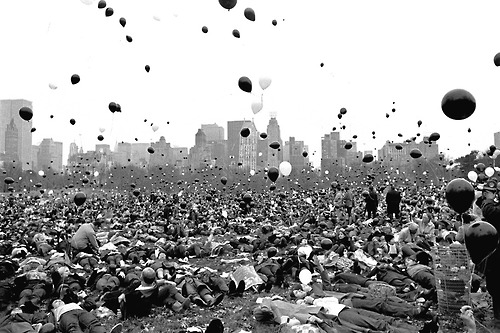 Vietnam War protesters release balloons in New York Central Park, Nov 14, 1969. Julius Erving AKA: Dr. J. of the Philadelphia 76ers goes in for the dunk - 1977. 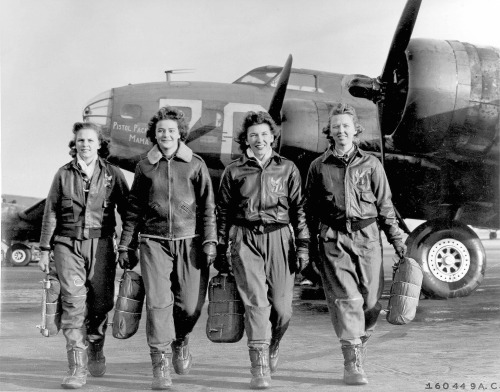 Four members of the Women Airforce Service Pilots leave the Pistol Packin’ Mama in Lockbourne AAF, Ohio during flight training to ferry B-17s during WWII, date unknown. 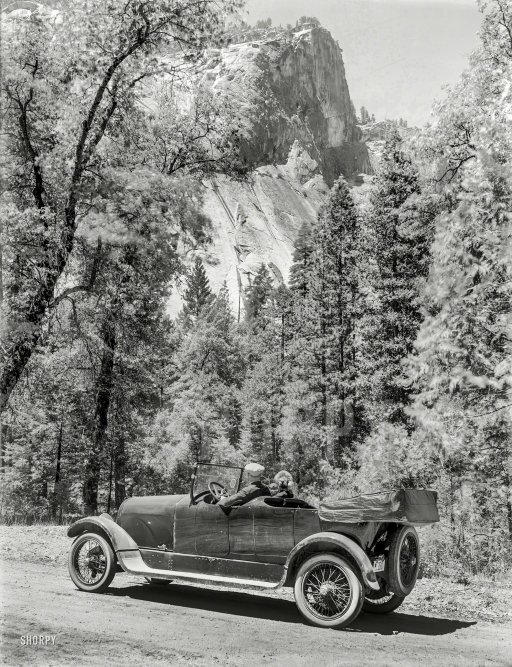 "Marmon Touring Car at Yosemite." Wyland Stanley Collection - California, Circa 1919. 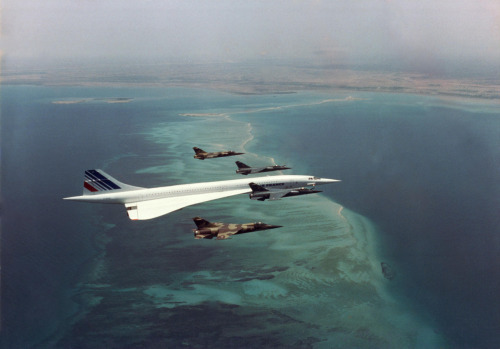 Concorde flying over Djibouti, escorted by French fighter jets to protect passenger President François Mitterrand. 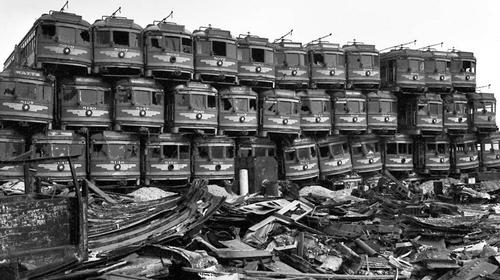 The destruction of Los Angeles streetcars, in favor of buses, automobiles, and freeways - 1956. 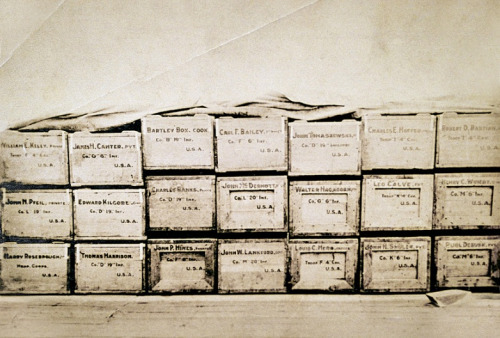 “Coffins containing American soldiers who died in the Philippine-American War.” - 1906. 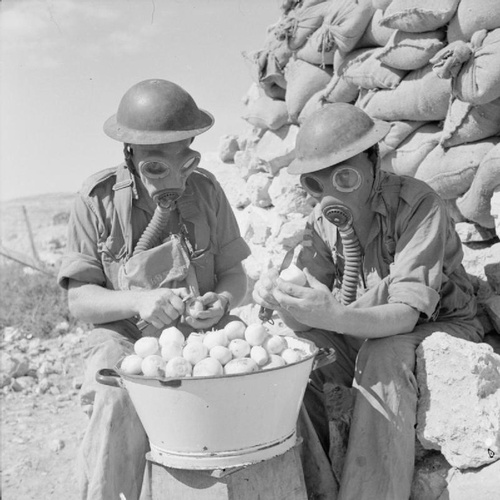 Soldiers wearing gas masks while peeling onions at Tobruk, Lybia – October 14, 1941. Before refrigeration, animals were transported live to cities to provide fresh meat on demand. 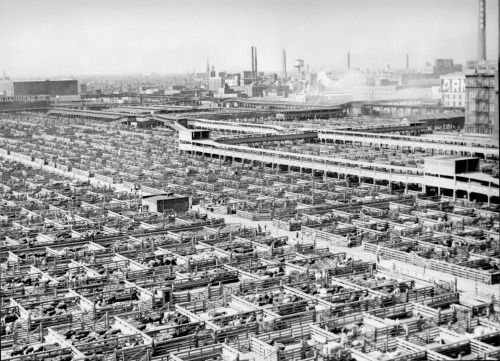 Chicago Stockyards, 1947. 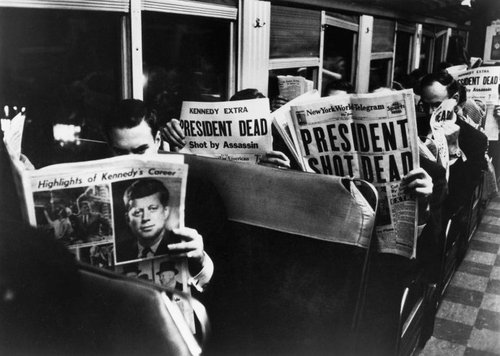 New York commuters aboard a train car reading of President Kennedy’s assassination in November, 1963. 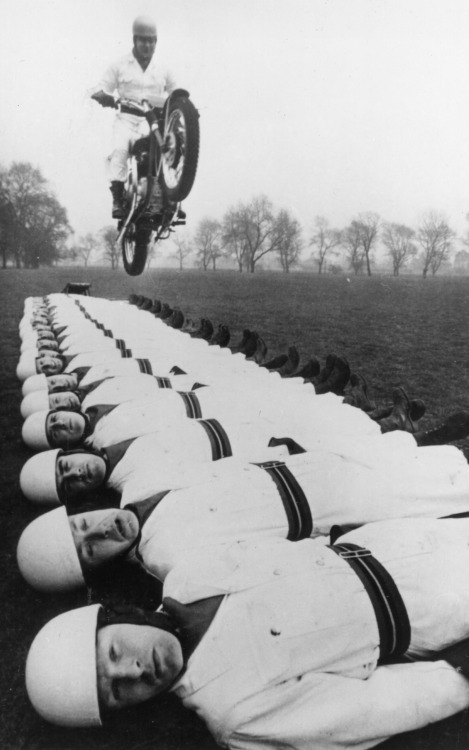 Sergeant Major Tom Gledhill, riding a standard BSA A50 twin motorcycle, leaps over 20 members of the Royal Artillery Motor Bike display team, at 45mph, 1966. 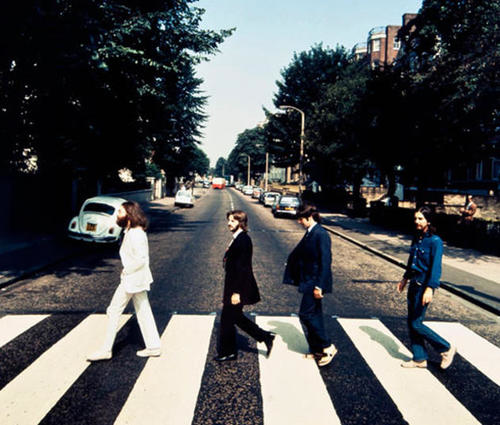 The Beatles walking back the other way across Abbey Road, Photo by Iain Macmillan -1969. 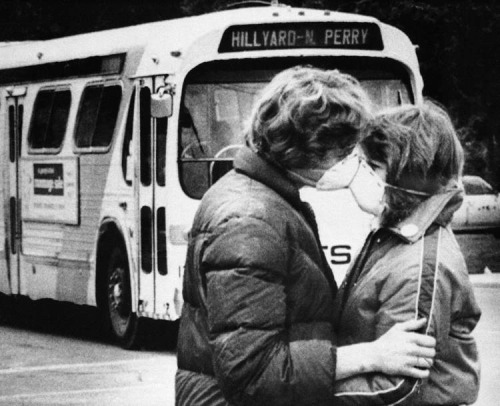 Just over a week after the eruption of Mount St. Helens, Allen Troup, 16, gives fifteen-year-old Heidi Havens a kiss as he prepares to board a Spokane City bus - May 1980. 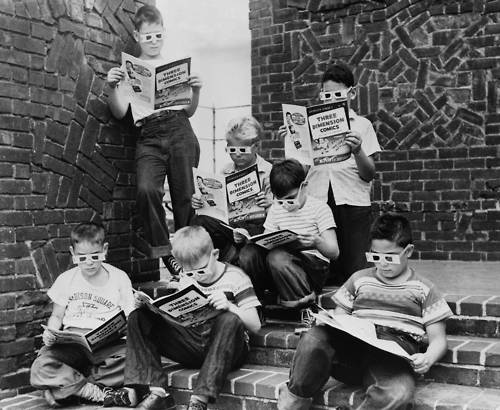 Children of Berlin watch U.S. 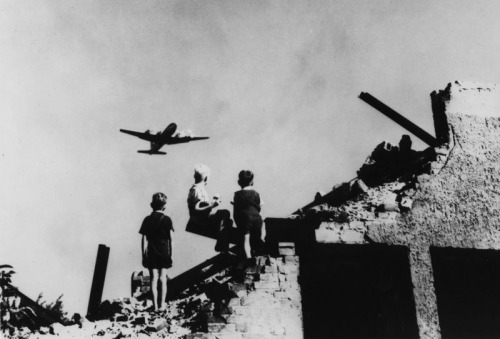 Planes above deliver care packages during the Berlin Airlift, after the Soviets blocked road routes into the capital - June 1948. 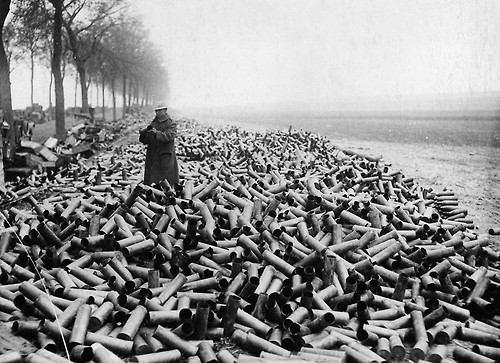 Spent artillery shell casings on the roadside near the front lines, WWI. 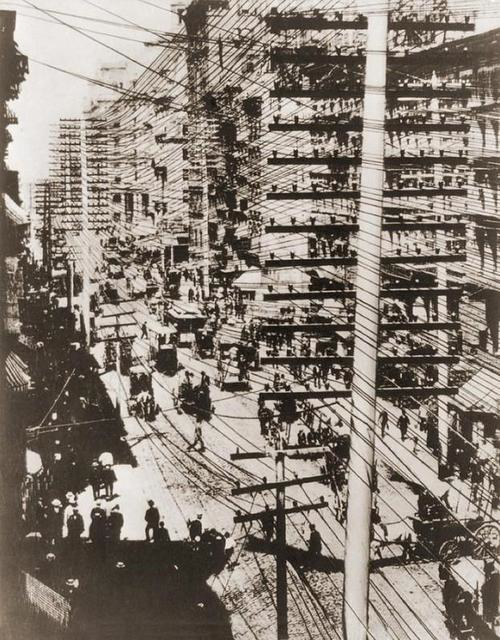 Complex network of early telephone wires over a New York City street – Circa 1900's. 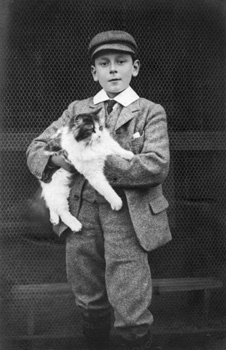 Prince Maurice of Battenberg and his cat. 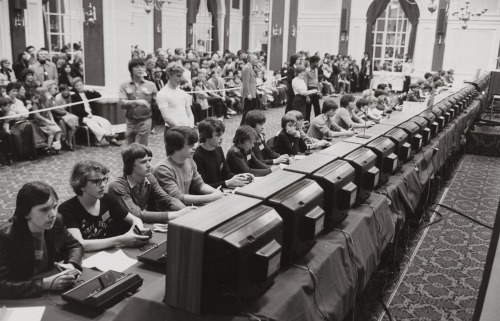 The Prince was the youngest grandson of Queen Victoria of England. He died in the First Battle of Ypres in WWI. 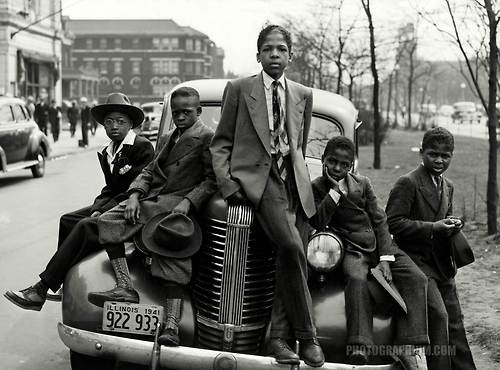 South side boys on Easter morning, South Side Chicago Illinois, 1941. 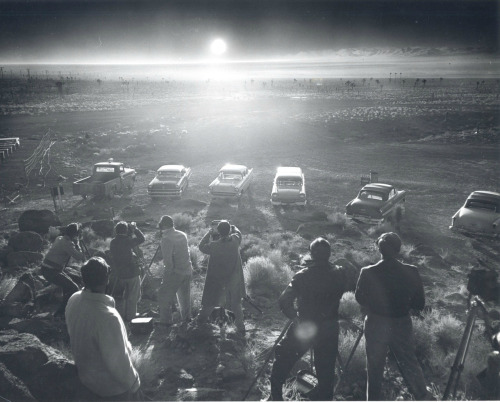 Spectators watch the Priscilla Nuclear Test detonation during Operation Plumbbob. One of a series of nuclear tests conducted between May 28 and October 7, 1957. Gilmore Self Service Gas Station, Los Angeles 1948. 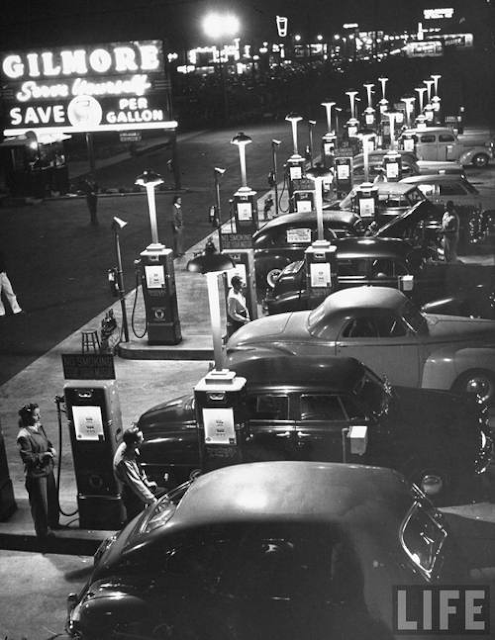 Save 5 cents a gallon by pumping your own gas, the women stationed by the pumps distribute change. 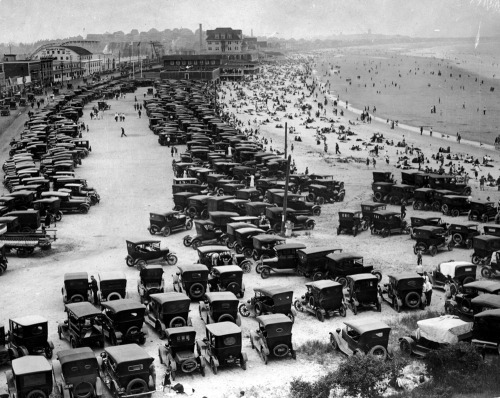 Parked automobiles crowd Nantasket Beach in Hull, Massachusetts for a Fourth of July weekend in the 1920s. Flatiron Building and Madison Square Park, New York City, 1918. 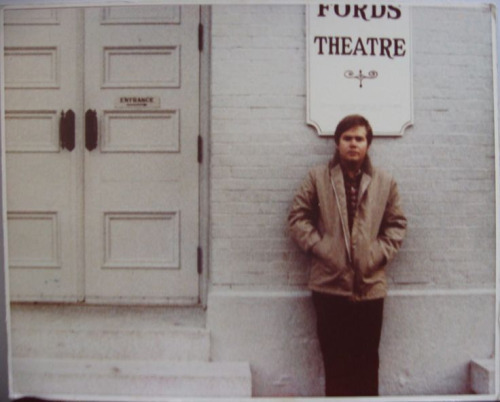 John Hinckley, Jr., who attempted to assassinate President Ronald Reagen, photographed outside Ford’s Theater in Washington D.C. where Abraham Lincoln was assassinated - 1981. 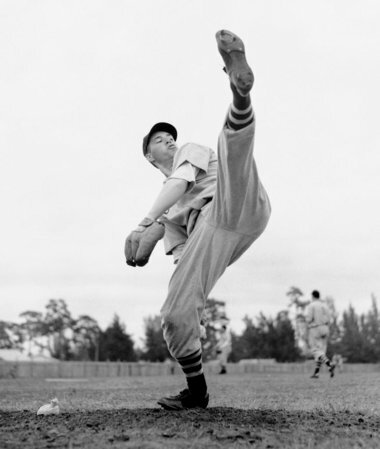 Pitcher Bob Feller winds up on the mound - 1938. 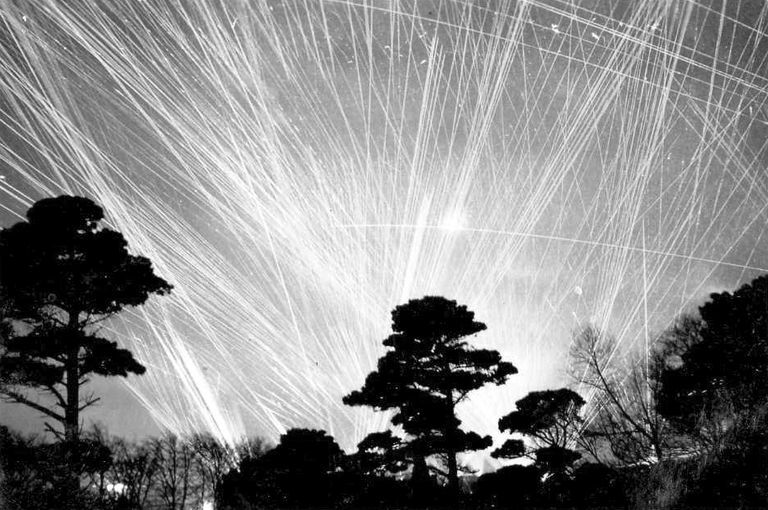 Anti- Aircraft FLAK fire fills the night sky as the city of Brest, France attempts to ward off enemy RAF bombing raids during World War II - 1941. 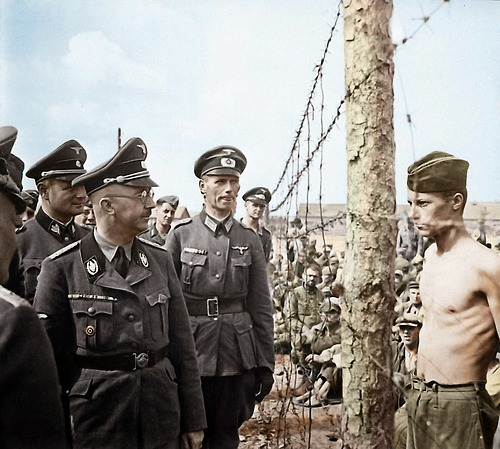 Defiance: Himmler and a prisoner locked in a defiant gaze in the Shirokaya Street POW camp in Minsk, USSR - August 1941. 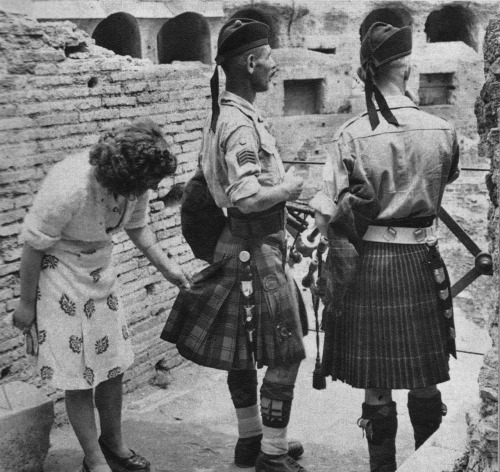 A curious Italian woman inspects the kilt of a Scottish soldier near the Coliseum after the liberation of Rome - 1944.